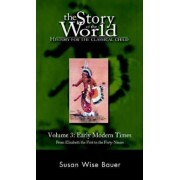 Pe ShopMania gasesti cele mai bune oferte pentru The Story of the World: History for the Classical Child: Ancient Times: From the Earliest Nomads to the Last Roman Emperor (Revised Second Edition) (Vol. 1) (Story of the World). Poti cumpara The Story of the World: History for the Classical Child: Ancient Times: From the Earliest Nomads to the Last Roman Emperor (Revised Second Edition) (Vol. 1) (Story of the World) de la sute de magazine online din Romania cu livrare in principalele orase Bucuresti, Brasov, Constanta, Cluj, Iasi, Ploiesti, Timisoara si oriunde in restul tarii, avand cele mai mici preturi The Story of the World: History for the Classical Child: Ancient Times: From the Earliest Nomads to the Last Roman Emperor (Revised Second Edition) (Vol. 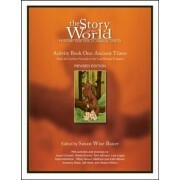 1) (Story of the World). 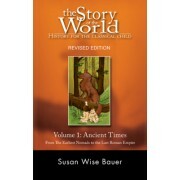 Citeste opiniile si comentariile utilizatorilor din comunitatea ShopMania, trimite propriile tale comentarii, vezi galeria de poze The Story of the World: History for the Classical Child: Ancient Times: From the Earliest Nomads to the Last Roman Emperor (Revised Second Edition) (Vol. 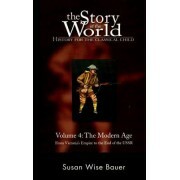 1) (Story of the World) si afla-i caracteristicile complete. 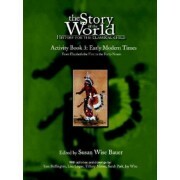 Doar aici poti gasi reduceri, discounturi sau promotii, compara preturile la carti si cumpara la cel mai avantajos pret, The Story of the World: History for the Classical Child: Ancient Times: From the Earliest Nomads to the Last Roman Emperor (Revised Second Edition) (Vol. 1) (Story of the World).